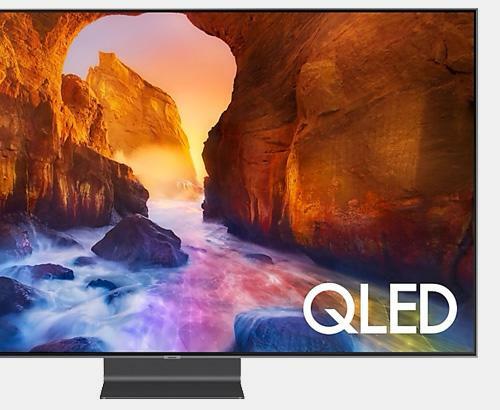 The Samsung QE82Q6FN 82 inch TV features a second generation QLED screen with edge lit LED illumination and a PQI 2800 (Picture Quality Index). In addition, the screen is Ultra HD Premium Certified also HDR 1000 and HDR10+ compatible. 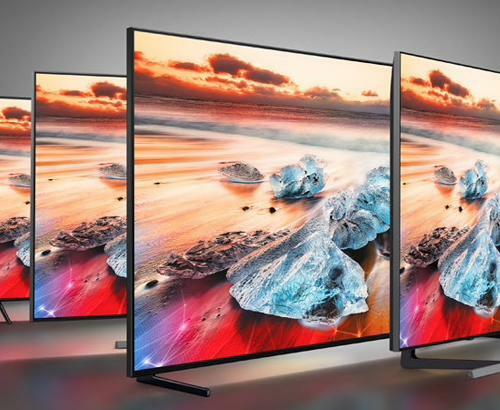 The Samsung QE82Q6FN is part of the flagship QLED TVs from Samsung. This 4K HDR TV is one of the best flat screens that Samsung has to offer. 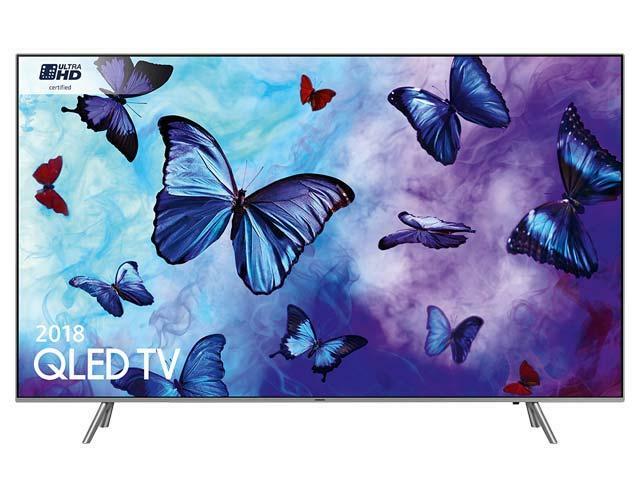 The Samsung QE82Q6FN QLED HDR 4K TV is Samsung's second generation 4K HDR QLED television. Bringing a quad core processor to provide one of the fastest Smart TV platforms available. Tizen is the all new smart platform providing full access to catch-up TV services and provides an intuitive interactive interface to this QLED HDR 4K television. The design of the Samsung QE82Q6FN HDR 4K TV is focused on the premium and luxury. Featuring a 3 way bezel-less design to give the most immersive experience possible. Sitting this television on pedestal stand reveals a beautiful crafted minimalistic design with the front of the stand perfectly matching the design aesthetics of the tv to provide a clean, premium look. Q HDR 1000 aims to deliver the very best colour detail possible allowing more colour information to be shown on the screen. This greater contrast delivers stunning detail in both light and dark scenes. Q Contrast reveals hidden detail in dark scenes that you wouldn't be able to distinguish on some other LED screens giving you the ultimate viewing experience. This is made even better with the Supreme UHD Dimming which can independently control the light level of multiple zones on the screen providing better contrast and a greater level of detail which is hard to achieve on standard LED Screens. 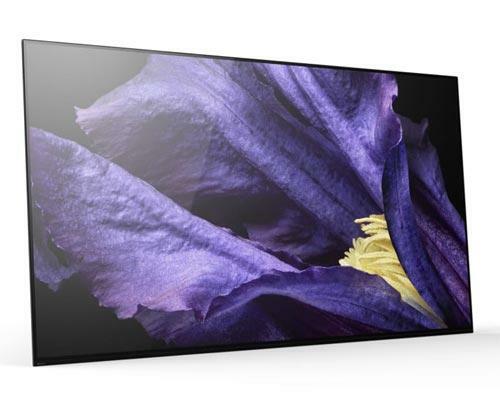 The Samsung QE82Q6FN features Samsungs second generation QLED Panel, the latest and best LED produced yet from Samsung. Our installation service covers the whole of Greater Manchester and also many parts of Lancashire. Our prices are constantly monitored to ensure that we are as competitive as national retailers. This Samsung QE82Q6FN is also available with a bespoke white glove delivery and installation service. Does this tv include the one connect Box ? The Q6 doesn't have a One Connect box and the connections are directly into the television. 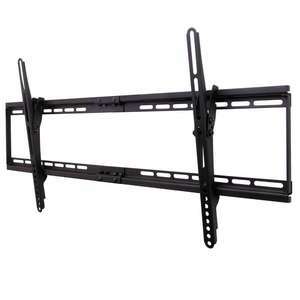 Ideal if you are replacing a television that is already wall mounted or don't want and additional cable, box and power lead.